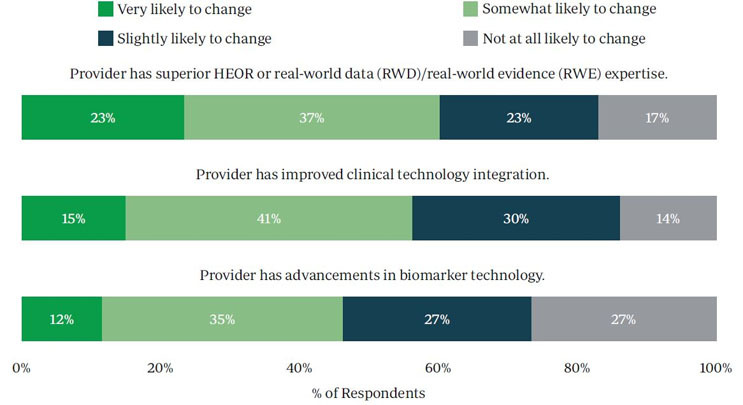 ISR recently surveyed decision makers across all phases of clinical development to gain insight on sponsor/CRO dynamics. More than half of respondents agreed (to some level) that their organization would change its mix of CROs. Superior HEOR (health economics outcomes research) or real-world expertise was what most likely would prompt a change.